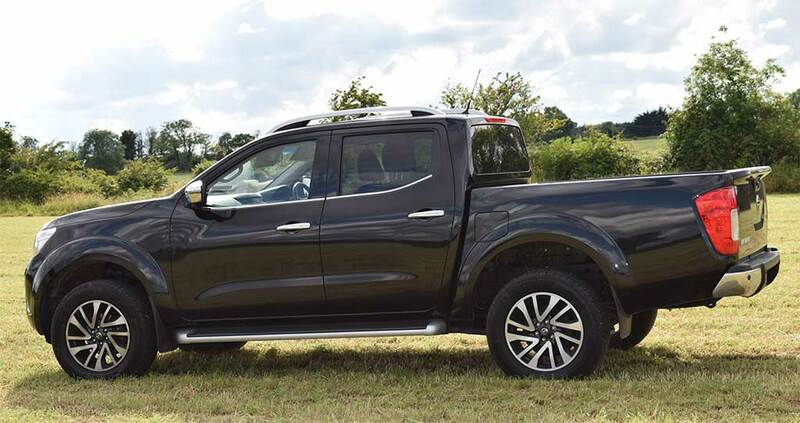 The new Nissan Navara is a pick-up truck that is primarily aimed at tradesmen who appreciate its tough SUV styling, and its ability to work hard during the week and play comfortably with the family at weekends thanks to its practical double-cab design. Nissan’s new Navara is the latest in a long line of Nissan pick-ups, with the first one having been produced by Nissan back in 1935. Since then, Nissan have sold over 14 million pick-ups in more than 180 countries around the world. The new Nissan Navara 4x4 pick-up has a fully boxed ladder-chassis rather than the three-sided channel-section frame found on some other pick-ups. There’s also a new multi-link coil spring rear suspension which is unique in the European one-ton pick-up segment. This gives a better ride quality and more agile handling, without compromising load-carrying ability. 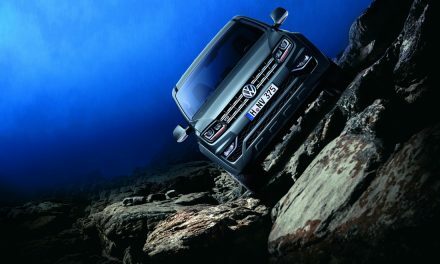 There are three driving modes – 4WD High for light off-roading, 4WD Low for serious off-road driving in sand, snow or deep mud, or 2WD for when you’re on tarmac. 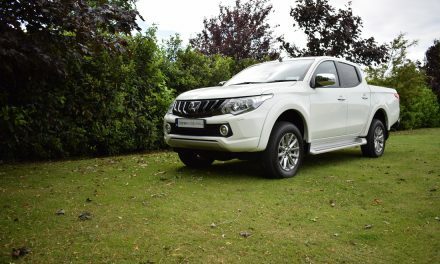 With features such as Hill Start Assist and Hill Descent Control, it’s the pick-up that really is ready for anything. 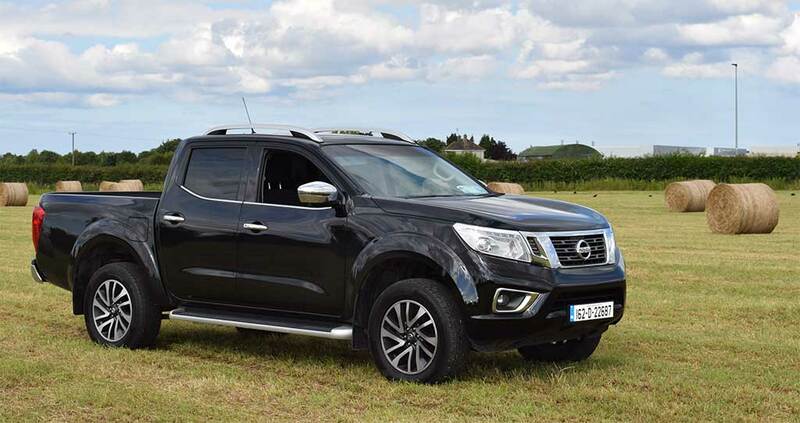 Nissan offer the Navara with a choice of two diesel engines – a 2.3-litre single-turbo diesel producing 160bhp and 403Nm of torque and a 2.3-litre twin-turbo diesel producing 190bhp and a healthy 450Nm of torque. The 160bhp Navara is available in XE or SV specification, while the 190bhp is available in SVE and, range-topping, LE specification. A six-speed manual gearbox comes as standard across the range, but an automatic option is available with the 190bhp engine. My test vehicle was a new Navara 2.3-litre LE model in manual guise. 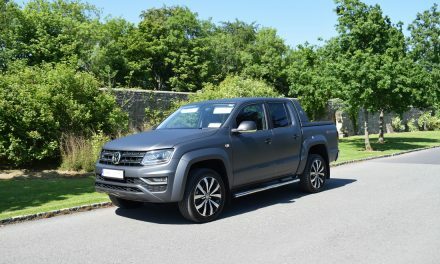 Chrome –effect detailing on the large front grille, fog-light surrounds, door mirrors, door handles and window belt-line finishers really stood out on my metallic black test model, as did the aluminium-effect roof rails and side-steps. 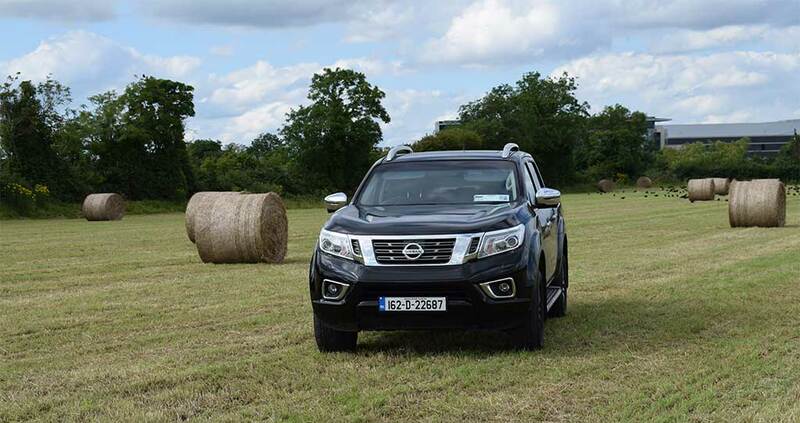 Nissan has gone to great lengths to make the Navara feel like a passenger car inside – and this has paid off. Rear seat accommodation is surprisingly good for a pick-up with enough space for a six-foot adult to sit behind a six-foot driver in comfort. Standard specification across the entire Navara range is comprehensive, but my range-topping test model really did offer the last word in driver and passenger comfort, safety, security, reliability, practicality and technology. The new Navara has an imressive load bay length of 1,537mm, while the load bay itself is lined with tough plastic and the tailgate feels nice and solid. The load space is 67mm longer than the previous-generation Navara’s, and Nissan offers a wide range of options for buyers to tailor it to their own requirements. Whatever can’t be accommodated in the rear of the Navara can go on a trailer, and the 3,500kg towing capacity is as good as you’ll find in the pick-up segment. Nissan have yet another worthy winner on their hands. A 5-year (160,000km) warranty really seals the deal for me.